In the world today, too many patients continue to live with diseases and conditions that either have no or few effective treatment options. At Celgene, we’re committed to addressing areas of high unmet medical need and to helping patients live longer, better and healthier lives. This commitment is clearly expressed in our company’s purpose: “to change the course of human health through bold pursuits in science and a promise to always put patients first.” Day in, day out, we pursue our responsibility to patients with passion, innovation and courage. Our mission to discover, develop and deliver life-enhancing medicines is focused in areas of unmet need in hematology, oncology and immunology and inflammation. Over the past six years, we have invested more than 30 percent of our revenues in research and development, which is above the industry average. Moreover, 60 percent of every dollar spent at Celgene is dedicated to product development. This reinvestment helps support the company’s 18 pivotal phase III programs currently underway, 26 treatments in clinical trials, 30 programs in preclinical development and more than 700 ongoing clinical trials. “Year after year, we continue to invest in research and development at an industry-leading pace to deliver more transformational medicines to more patients worldwide,” Zeba Khan, Vice President of Corporate Responsibility at Celgene, said. We also work with patient advocates, doctors, healthcare providers, payers and policymakers to ensure patients have affordable access to the medications they need. Because of that commitment to patients, Celgene was the highest-rated company for hematology advocacy support in the 2015 STAR report. In addition to our advocacy efforts, we have assisted more than 50,000 patients since 2007 gain access to the therapies that they need through Celgene Patient Support®. This service helps patients understand their health insurance, offers financial assistance for copays to those who qualify and provides access to medications for the uninsured or underinsured. No matter what type of insurance a patient may have, Celgene Patient Support® can assist with getting access to the Celgene therapies prescribed by the doctor. 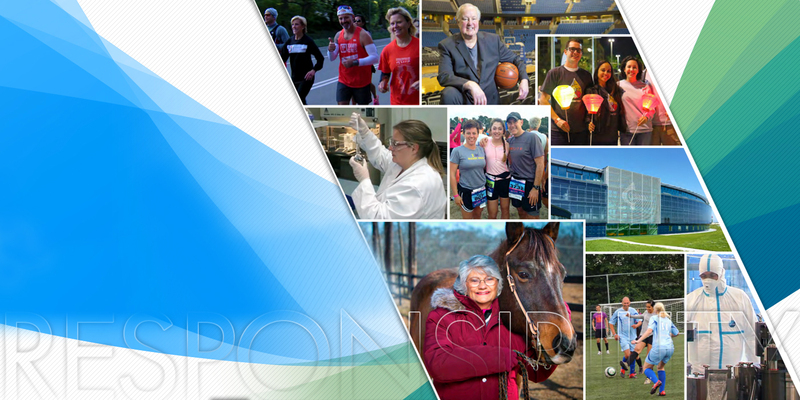 Our commitment to improving patient lives often goes beyond our day-to-day job responsibilities as many of us help raise money for disease associations. We participate in programs such as The Leukemia and Lymphoma Society’s Light The Night Walks, the Pancreatic Cancer Action Network’s Purple Strides campaign and the National Psoriasis Foundation Walks. Recognizing the burden of neglected tropical diseases (NTDs) on the populations of developing countries, we are partnering with academic institutions and nonprofit organizations to develop new therapies. Since 2009, Celgene Global Health (CGH) has been searching for treatments against neglected diseases such as sleeping sickness, Chagas disease and malaria, providing collaborators with access to our chemical library and drug development expertise. For example, Celgene has been collaborating with the Drugs for Neglected Diseases initiative (DNDi) to identify and optimize new therapy candidates for the treatment of NTDs since 2011 and expanded that collaboration in 2014. With regards to sustainability and the environment, Celgene strives to adhere to environmental laws, regulations and sound environmental management. We continue to reduce carbon emission, increase water reuse and recycling programs and manage energy usage. In addition, all new Celgene-owned facilities are built to exacting energy and environmental standards, including a LEED®-certified building recently completed at the Summit, New Jersey headquarters. To obtain this recognition, environmentally focused features have been integrated into the building’s design and construction. “At Celgene, we take our corporate responsibility seriously and continuously striving to advance medical innovation to benefit patients, the health care system and society,” Khan said. 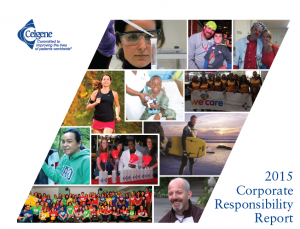 To read the 2015 Celgene Corporate Responsibility report, please click here. To learn more about Corporate Responsibility at Celgene, please click here.